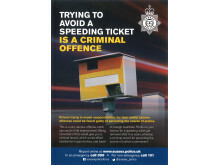 If you lie about a red light or speeding offence, you could be jailed. That’s the reality for these two men, who both spent Christmas behind bars after they attempted to blame their crimes on innocent people. Had they admitted their wrongdoings at the first opportunity, the two individuals could have escaped with three penalty points and a £100 fine for each offence. However, by providing false information they committed an offence of perverting the course of justice, and were subsequently jailed. On 29 May 2017, a white Ford Focus activated a speed camera in Ditchling Road, Brighton – it was travelling at 36mph in a 30mph zone. A Notice of Intended Prosecution (NIP) was sent to the registered keeper in Hove, but no response was received. Therefore a new NIP was sent to Colin Drewitt-Barlow at an address in Sompting on the basis the vehicle was insured to him. A reply was received stating Drewitt-Barlow no longer resided there, and further enquiries led to another NIP being sent to his new address in Coleman Avenue, Hove. The 31-year-old, unemployed, and now of Downsway, Southwick, replied and nominated another person, however this proved to be a false name and address. In police interview, Drewitt-Barlow denied driving the vehicle when the offence was committed or ever owning it. The case was then submitted to the Crown Prosecution Service (CPS), which authorised a charge of perverting the course of justice. 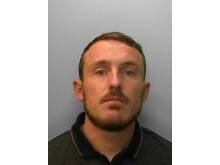 Drewitt-Barlow pleaded not guilty but later changed his plea to guilty at Lewes Crown Court on 12 December 2018, where he was sentenced to three months’ imprisonment. He was also ordered to pay a £115 victim surcharge. 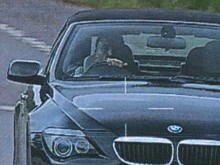 On 25 June 2017, a black BMW M3 activated two speed cameras in Sussex – it was caught travelling at 38mph in a 30mph zone on the A259 Marine Parade, Brighton, and at 72mph in a 60mph zone on the A24 at West Grinstead. Two separate NIPs were sent to the registered keeper – Ozgur Uzum, 45, a fast food employee, of Salvington Road, Worthing, however they were both returned nominating another person from Hampshire. Both NIPs were sent to the nominated driver but no response was received. Enquiries revealed this person had been nominated before, and it was confirmed the individual had been a victim of stolen identity. In police interview, Uzum continued to deny the offences, however he later changed his plea to guilty after being shown an image from the A24 incident, which clearly showed him driving the vehicle in question. The CPS authorised two charges of perverting the course of justice, and at Lewes Crown Court on 10 December, Uzum was sentenced to five months’ imprisonment. He was also ordered to pay a £115 victim surcharge. 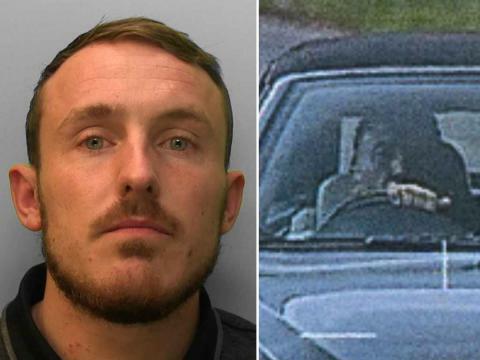 Chris Raynor, of the Sussex Police Camera and Ticket Process Team, said: “This operation demonstrates that no matter how long it takes, we are determined to bring to justice those who break the law and put other road users’ lives at risk. “What may appear to be a fairly low-level offence to some, is actually one which carries a maximum term of life imprisonment. 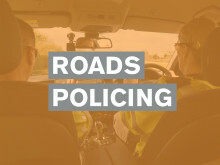 And to prevent law-abiding motorists, who have been badly advised, from committing serious criminal offences by attempting to avoid speeding or red light offences. The offence of perverting the course of justice carries a maximum term of life imprisonment. Unedited images attached - please note we do not have a custody image for Uzum as he voluntarily attended police interview; he did not go through the custody process. IMAGE LICENSING NOTE: The image(s) provided remain(s) the property of Sussex Police. It is/they are provided for the explicit purpose of journalistic coverage and commentary, in the public interest, in relation to the sentencing of the featured person(s). You are granted limited licence to use the material for this purpose for 90 days from the date it is provided. You may also re-distribute it for this purpose at zero cost to the receiver, provided it is clearly marked as belonging to Sussex Police and this notice remains. 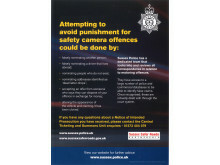 You may include our material as part of a wider package of journalistic content that is paid for by the receiver – for example a court report or feature article – provided that the material owned by Sussex Police is clearly marked as such, this notice remains and our material is supplemented by content of additional value produced by you. Re-distribution of this material for profit in breach of the terms above, use for any purpose other than that expressed above or archiving of this material for future use is strictly prohibited without the prior written permission of Sussex Police. Requests for use outside of these terms should be sent to media.hq@sussex.pnn.police.uk. 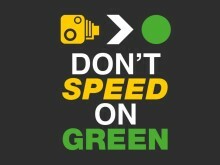 Slow down at traffic lights - don't speed on green.